Kelly Sadler has left her job at the White House. No one out here in Flyover Country had ever heard of her, until she popped off about Sen. John McCain in a closed-door meeting. Sen. McCain had called waterboarding “torture” and urged his Senate colleagues to reject the nomination of Gina Haspel to lead the CIA; he cited Haspel’s role in an “intensive interrogation” program. McCain knows torture, as he endured more than five years of it as a Vietnam War prisoner. Sadler’s response? She “joked” that McCain’s criticism “doesn’t matter; he’s dying anyway.” What a knee-slapper. She’s now gone. Donald J. Trump ordered a White House communications office revamping. Sadler is a casualty, having been shown the door. McCain, of course, is battling a grievous illness. Sadler’s comment was totally, unequivocally out of bounds. It was tasteless and crass in the extreme. I’m glad she’s gone. However, the president has not yet issued a public rebuke of the comment. He hasn’t yet said a word about how sorry he that a distinguished American politician was ridiculed by someone on his staff. The president has yet to say a word on McCain’s behalf or a word wishing him well as he battles brain cancer. Oh, no. The housecleaning is aimed at plugging the leaks that made Sadler’s hideous “joke” public. I am left, therefore, to conclude that Trump really is as heartless as other critics have concluded. A man with a heart would have told Sen. McCain he is sorry for the remark and then he would have fired — on the spot — the person who blurted it out. Kelly Sadler works in a White House where the Big Man — the president — never apologizes for anything. She need not follow Donald John Trump’s lead. All she has to do to make an idiotic story dissipate is to apologize publicly to the man she disparaged so cruelly. The man is Republican U.S. Sen. John McCain. He is fighting a grievous illness, brain cancer. 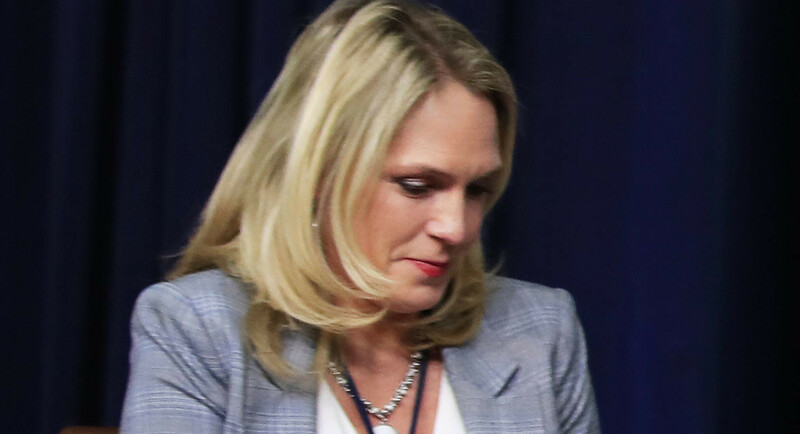 Sadler, a mid-level White House communications office staffer, was attending a private meeting when she blurted out an insult directed toward Sen. McCain. McCain had spoken against CIA director nominee Gina Haspel. He doesn’t like her stance on torturing enemy combatants. He has urged his Senate colleagues to reject her nomination to lead the CIA. The story won’t go away. It should go away. All the staffer has to do is to stand before the nation and say she is sorry for her disparaging remarks aimed at a genuine war hero. You see, Sen. McCain’s opposition to torture comes the hard way: He experienced more than five years of it while being held captive during the Vietnam War. Sadler’s demeaning remark has no place coming out of the mouth of a White House official who, I hasten to add, works for the public. That’s you and me, dear reader. The president is entitled to withhold any apology if he chooses. My hope is that he hasn’t instructed Kelly Sadler to follow him down the path of arrogance. My fear, though, is that he has done precisely that very thing. ‘A little bit of a victim’? Give it up, man! 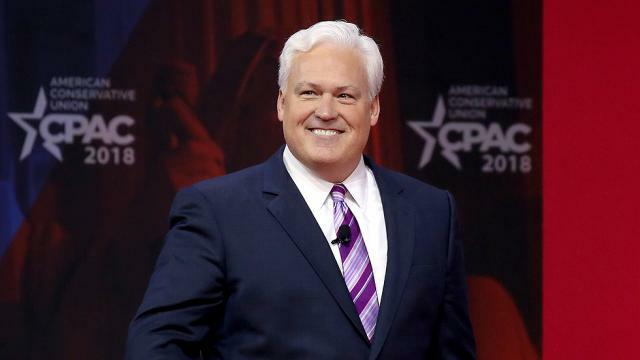 Matt Schlapp needs to be slapped bald-headed. McCain doesn’t like Haspel’s view of torturing enemy combatants. He urged the Senate reject her confirmation. Yes, he’s battling a life-threatening disease. However, he is of sound mind and is entitled to speak his mind about an important policy matter. And there is no one in the U.S. Senate who is more qualified to speak about torture than McCain, a former Vietnam War prisoner who endured years of torture at the hands of his captors. Schlapp said this, according to The Hill: “Kelly is my friend. I feel bad she is going through this. She immediately called to apologize. She’s also a little bit of a victim here,” Schlapp told CNN “New Day” co-anchor Chris Cuomo. The story has gotten national attention. It has serious legs and is threatening to keep on running until Sadler owns up publicly to her idiotic comment.